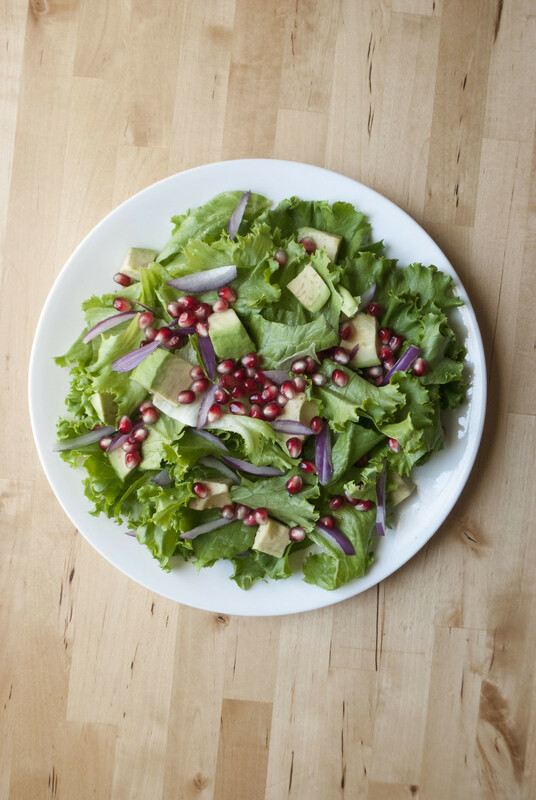 Kitchen In The Hills – Page 8 – Photos and recipes from my Northern California kitchen. Today I’m sharing some of my favorite links from around the web, because a food blog never has to be just a food blog. I’d like Kitchen in the Hills to be just as fun as it is informative, and just as much about conversation as it is about good food. In that lively spirit, I bring you a weekend post! It’s been another crazy busy week over here, and all I want is to slow down, relax, and stop talking about how busy I am. 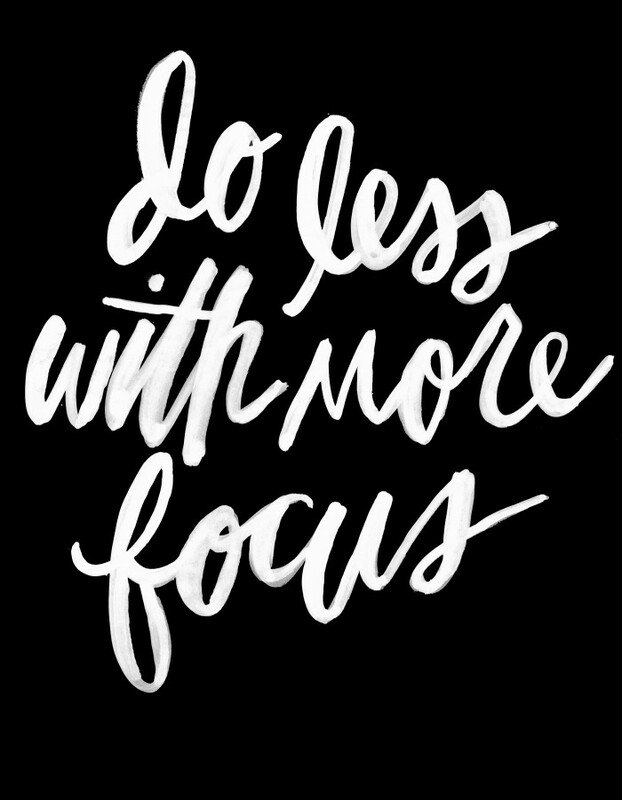 Perhaps the key is to do less with more focus? Sigh. All I really want is for someone to take me skiing in the mountains and put a mug of hot chocolate in my hands. But we make our own luck, right? Let’s talk crisp. Apple crisp. Possibly the most under-loved of fall desserts, but one of the homiest, tastiest, and easiest to pull together. Do you ever have those days when you feel like you’re running around like crazy, switching from one task to the other, working long hours— only to look at your to-do list and find that nothing’s actually done? I’ve been having a lot of those days lately. 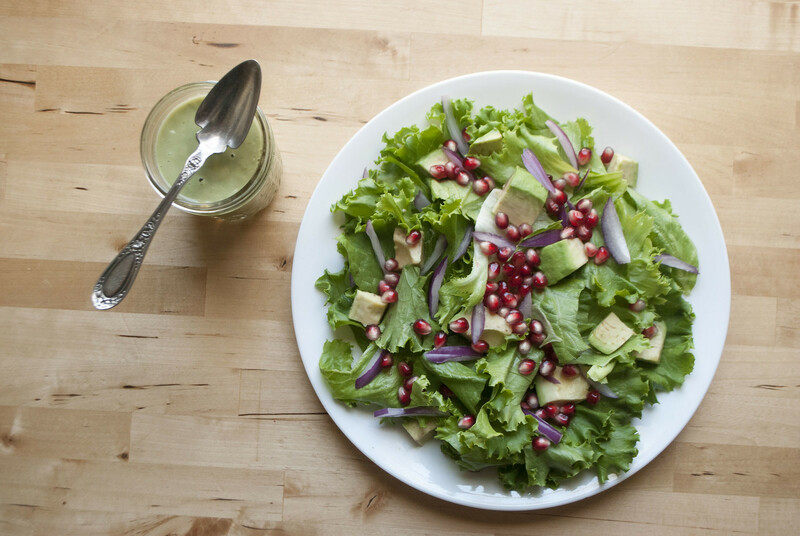 Days when there isn’t a lot of leftover time to make a fancy dinner, or an elaborate recipe to blog about. It was on one of those days that I made this apple crisp. I wanted to stress-bake, had half the amount of time a batch of cookies or a pound cake would take me, and a refrigerator filled with apples rapidly losing their crunch. This is real life. So I turned to something easier, something that was more approachable and incredibly simple. Sometimes you need simple. 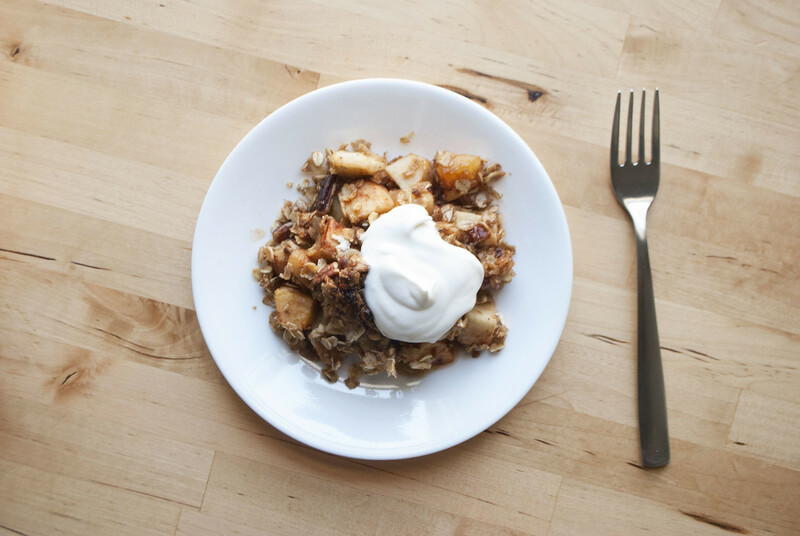 Sometimes you need an apple crisp. 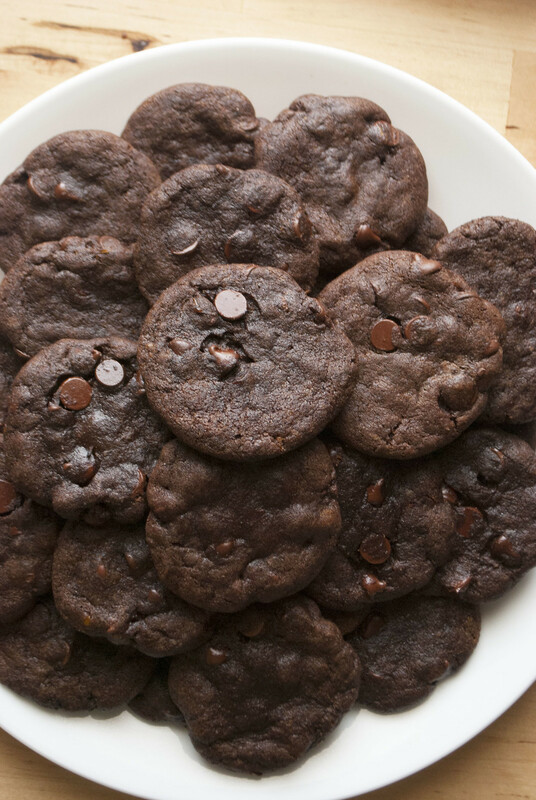 This is a cookie that is intensely dark, rich, and fudgy. It borders on truffle territory. It’s brownie-like when it comes out of the oven, and cools with set edges and a soft middle. The flavor! 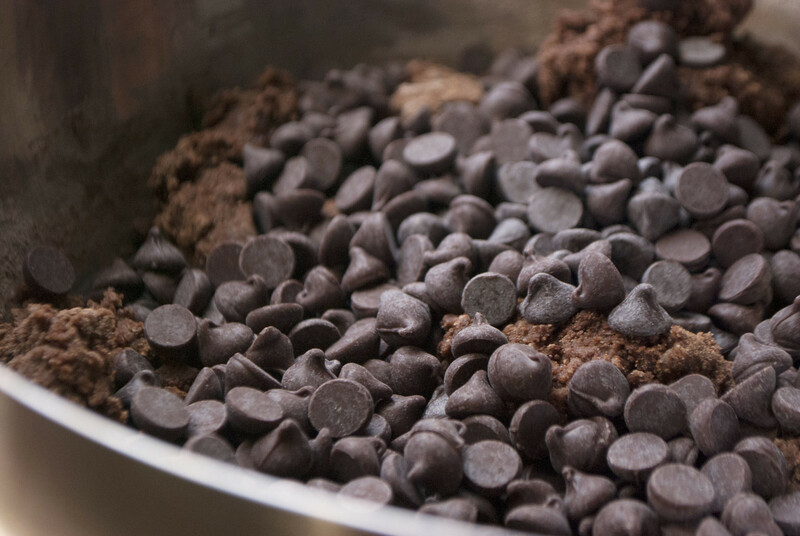 It’s chocolatey-dark, semisweet, just right. A heap of orange zest gives it a bitter, citrusy edge. I used Joy the Baker’s Double Chocolate Chip Cookie recipe, added orange, and tweaked a few of the ingredients. I pressed my cookies down just so so they would come out of the oven with that traditional chocolate chip cookie texture— flat, chewy, crisp, soft, delicious. I made a double batch of these last week. They’re all gone now, and with good reason. Do you remember the blue-and-yellow box? 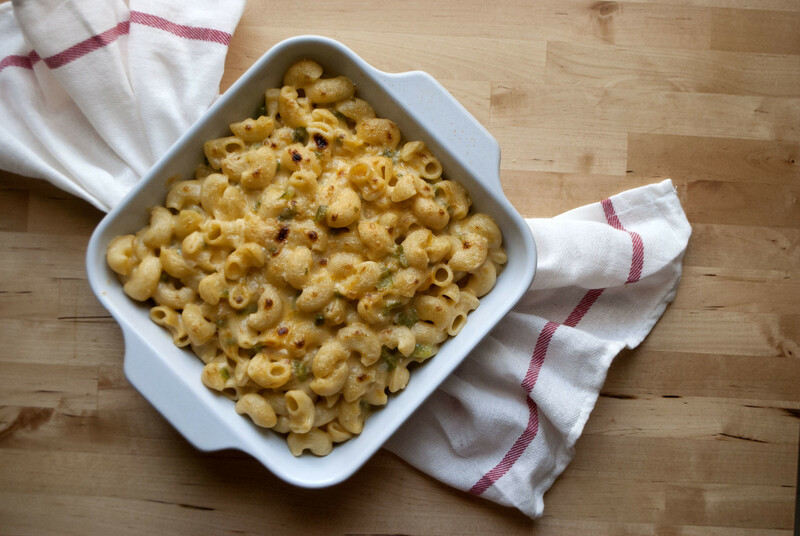 The Kraft one, the one that your parents opened up to make your favorite dinner— mac and cheese, of course. A pile of skinny macaroni and a packet of yellow cheesy powder. That was one of my favorite dinners. A rare meal in our home, where every meal was prepared lovingly from scratch by my mom. 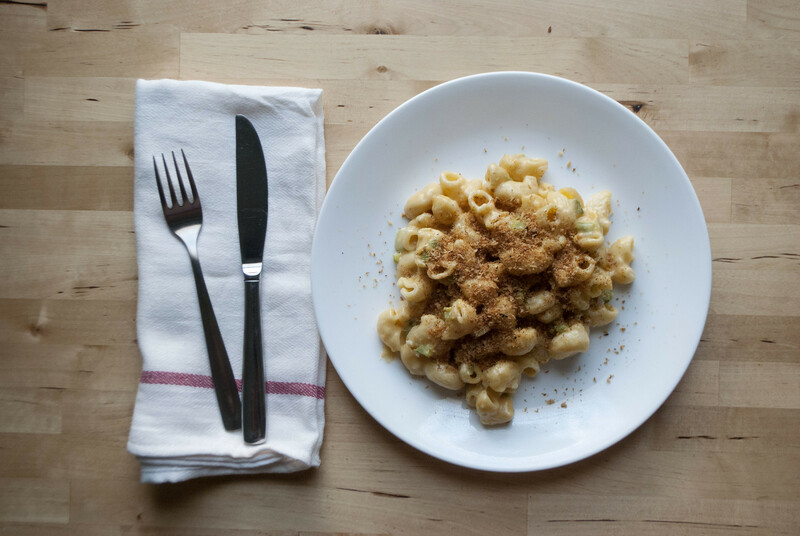 It was Kraft that taught me to love mac and cheese, but it was only after I tried a from-scratch recipe that I realized how good the stuff could be. This, my friends, is real mac and cheese. It starts with a béchamel sauce and some large elbow macaroni. A good helping of cheese goes in the pot. A couple of roasted and diced jalapeños get thrown in. Everything is stirred together and placed under the broiler until browned. Crispy panko breadcrumb are toasted in a sauté pan until perfectly golden, and sprinkled on top just before serving. Last week was a long week. A seriously long week. Between exams and papers, I felt like I had minimal down time and was stretched thin. The weekend finally came. And somehow (so soon!) it’s Monday again. Another long day. If you’ve had a long Monday, make this tart. It makes everything better. This tart is luxuriously silky, smooth, and dark. It’s filled with a semisweet chocolate ganache. 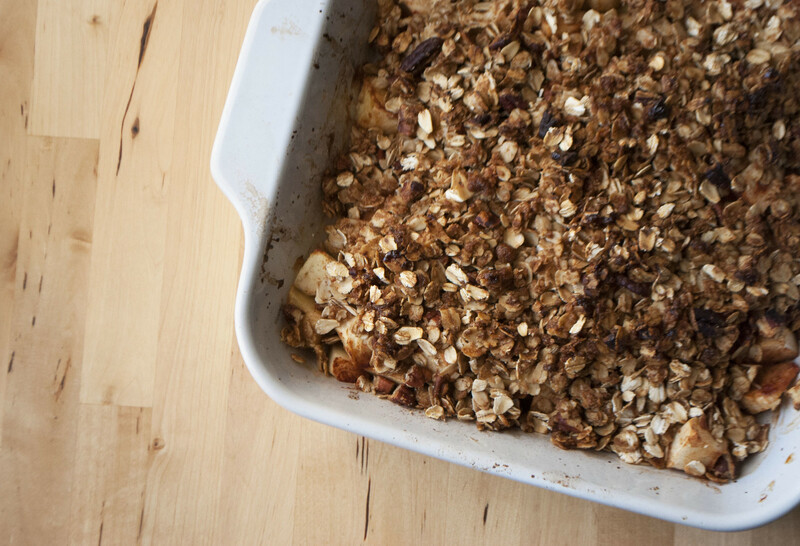 It’s encrusted with a salty sweet oat crust, made with plenty of butter and brown sugar. 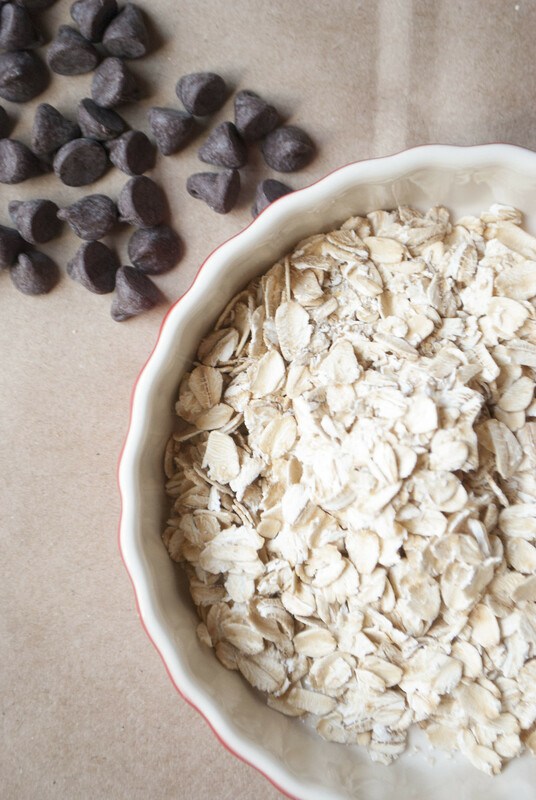 Join me in celebrating hard work by making a this tart at the end of a long day. We’ve worked hard. It’s been a long Monday. 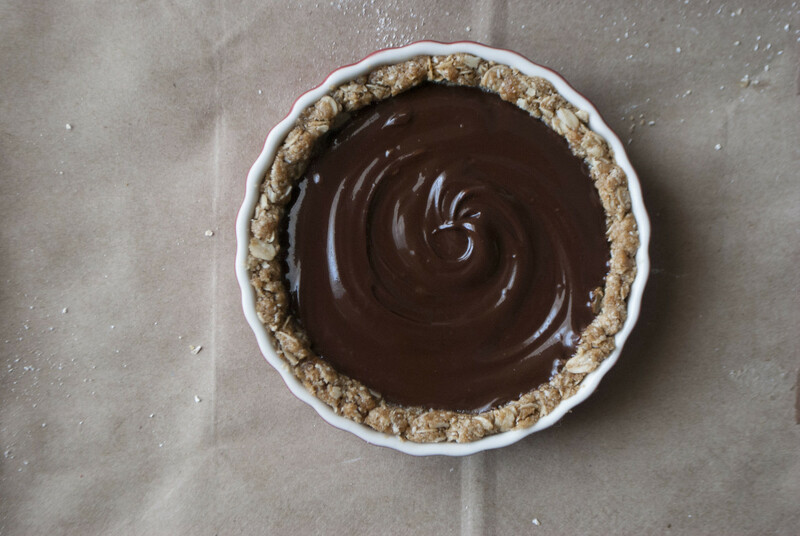 And when we’ve had a long day, we make salted chocolate oat tarts. Is it the weekend already? These last few days have gone by fast. When you’re crazy busy with school or work or whatever else, it’s easy to let the time fly by. I’ve been taking midterm exams and trying to catch up on readings. It feels like there is rarely any down time. I think it might be time to hit pause. Do something fun for a change. This weekend, I’ll be taking a break and treating myself to some healthy and delicious home-cooked food. You can bet that this will be on the list of dishes I make. I thought I was over cinnamon rolls, I really did. I baked them all winter and spring and summer long— I thought they were out of my system. It turns out, they aren’t. 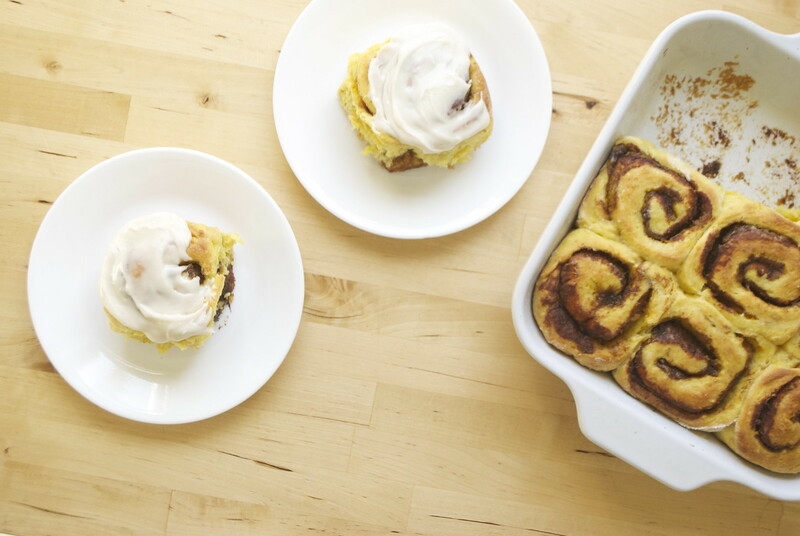 Though I had tried out just about every basic cinnamon roll recipe on the planet, I hadn’t tinkered with variations and flavors. Just as I was getting tired of cinnamon rolls, new recipes started popping up all over the internet. After reading everything from Joy the Baker’s Bonkers Awesome Pistachio, Orange, and Dark Chocolate Cinnamon Rolls recipe, to The Crepes of Wrath’s S’mores Cinnamon Rolls recipe, I realized there was a lot of baking territory left to explore. It was clear that cinnamon rolls and I just weren’t finished yet. 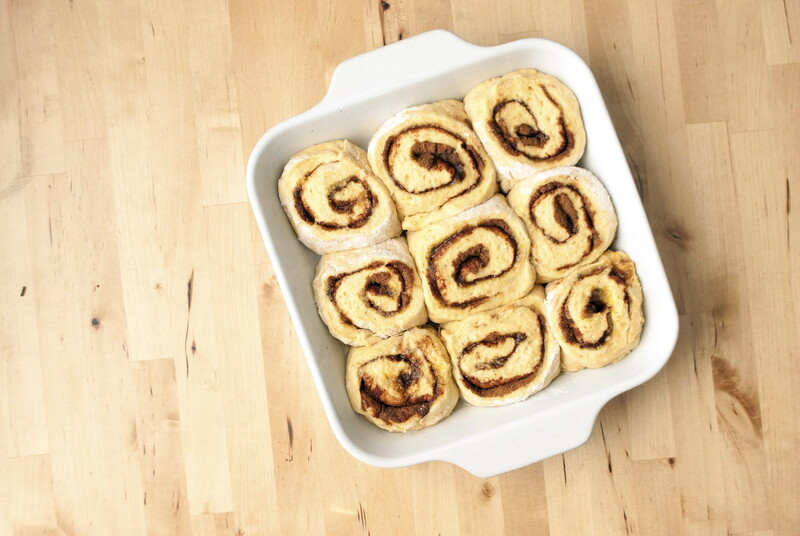 This recipe is my first variation on the usual cinnamon roll. It’s a crazy mashup of all things no-knead and this fall’s pumpkin spice trend.